This entry was posted in Archeology, Exploration, Overview and tagged Erik the Red, Greenland, Norse site, Photography. there is no reconstruction of the church of Þjóðhildur in Iceland. In Iceland a reconstruction of the church at Stöng in Þjórsárdalur resembles the reconstruction of Þjóðhildur’s church, simply because the same persons erected them. The reconstruction in Iceland has no basis in reality and was not built in collaboration with the archaeologist who excavated the church at Stöng (I am that archaeologist). I think the same procedure took place in Greenland. 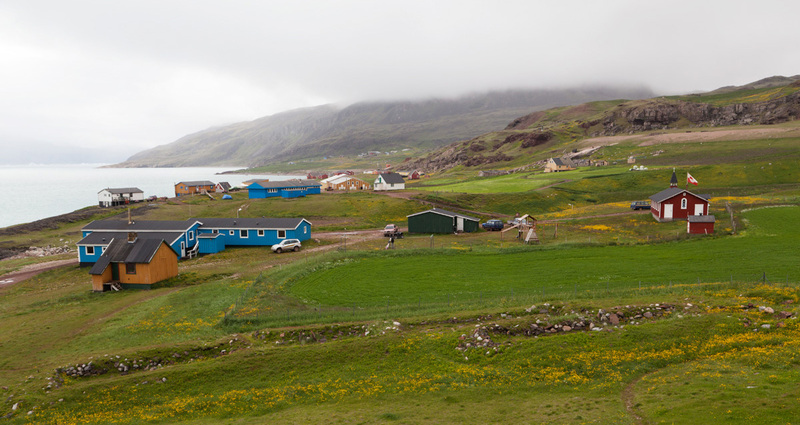 The circular enclosure around the “replica” in Brattahlíð was not located archaeologically. Dear Vilhjálmur Örn Vilhjálmsson, thank you for your comment and clarification! 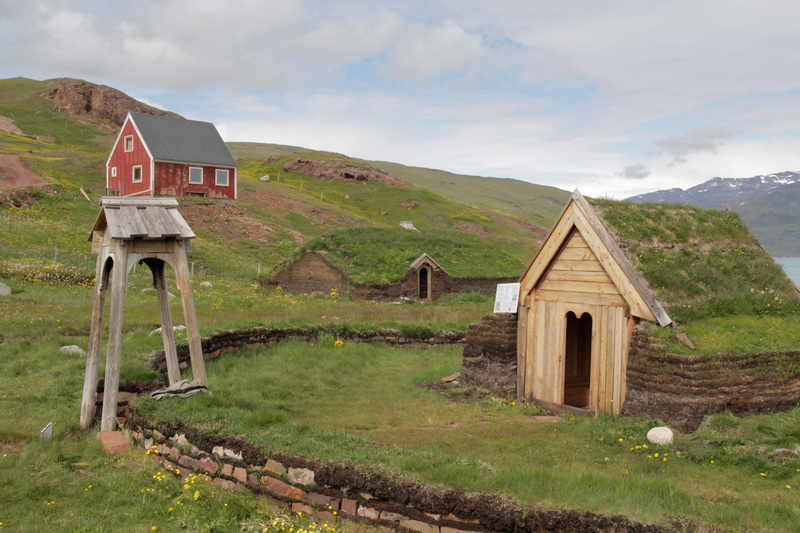 I had been trying to find out which reconstruction came first, the one at Brattahlíð or the one at Þjórsárdalur and which was the original church excavation used for the replica plans. Now I understand better. A few weeks after posting this entry, I went back to Þjórsárdalur in Iceland and noted the many differences between the two replica churches, mainly that the reconstruction in Þjórsárdalur is a much larger chapel. 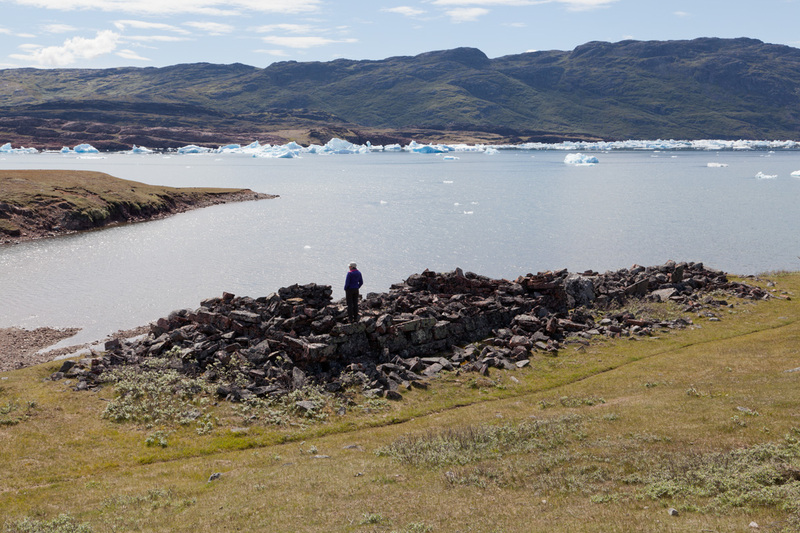 Regarding the circular enclosure at Brattahlíð, it is true that there are no remains of a circular enclosure at the original church site, but I saw other examples of chapel ruins in Greenland where the ruins of a circular stone enclosure are still visible, perhaps demonstrating an architectural trend. As I mentioned in an earlier post, I should again note that these reconstructions are merely interpretations. I would love to know more about the excavation of the church at Stöng, especially from the person who performed the excavation! Times and places sure do change. It doesn’t exactly look like the first ever successful colony in Greenland anymore, now does it? Or maybe it does. I have no real idea of what such a colony would look like in reality.